A chalice is defined as a drinking cup or goblet, or a cup for the wine of the Eucharist or Mass. In the Rastafarian religion, however, a chalice takes on a whole other meaning. A chalice is a type of smoking device, often used by Rastafarians for spiritual practices. Also known as ‘Wisdom’ chalice or ‘Chillum’ chalice, it’s a type of water pipe with a hose or draw-tube for inhaling. The base of the chalice, where the water is held, is usually made out of a coconut shell or some other type of gourd. 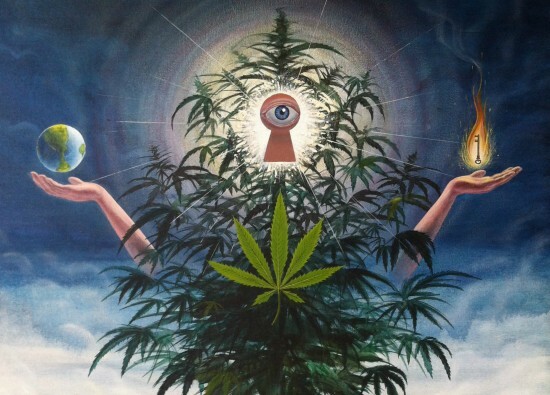 A Weed Religion? Tell Me More. Rastafarians often use a chalice while engaging in an activity called ‘reasoning.’ This spiritual practice helps them expand their minds while discussing things such as politics, theology, repatriation, and reparation. Those who take part in reasoning focus on their own personal issues as well as on the interaction of individuals and society. This may sound like your average meditation circle or yoga class, but I promise it’s not. What’s different about reasoning is that it includes, yes you may have guessed it, marijuana. These reasoning sessions are supervised sessions, used to put participants in touch with their inner selves. Getting in touch with one’s peaceful feelings, on unity as well as consciousness, is heightened by smoking a little bit of ganja throughout the process. In fact, according to Rasta philosophy, consuming marijuana during these practices is said to “stimulate the inner being through spiritual discourse.” Before you jump to any conclusions about smoking weed for religious reasons, Rastafarians who use a chalice are said to be very “mature and clean-spirited” since taking a hit off of one of these bad boys is a whole lot stronger than your average bong rip. Put That In Your Chalice And Smoke It! Now that you know that smoking weed can bring you to a higher and more spiritually religious state of mind, you’d like to give the chalice a try. To begin, you have to carefully grind your marijuana, making sure there are no seeds or stems. Most Rastafari use an Okapi ratchet knife, a type of knife that most, if not all Jamaican men possess. However, in the rare chance you don’t own an Okapi ratchet knife, a grinder will suffice. Once the marijuana is finely cut up, place it on top of what is called the ‘kutchie,’ a clay cone, which holds the marijuana, and sprinkle some water on top (don’t worry, your weed will be fine.) It’s important to note that, since an average sized kutchie can hold up to one ounce of cannabis, you must be careful with how much you are using. You don’t want to end up on the floor within the first three seconds of lighting it. Or maybe you do, I’m not judging. Once the chalice is packed and ready to go, according to Rasta tradition, if you are smoking with your buddies, you should pass it to the oldest person to get it started. A Rastafarian prayer is usually recited before lighting the chalice. To light it, take a lit strip of paper and hold it over the top of the kutchie. 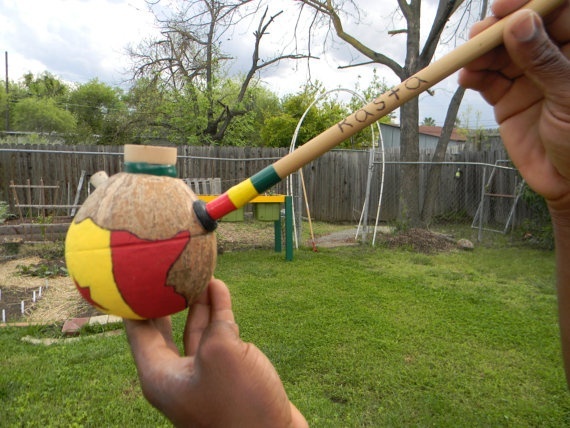 Once the kutchie is lit, and I mean fully lit, take one long, deep pull for the ultimate spiritual Rasta experience. It’s no secret as to why Rastafarians have such a well-known reputation with the ganja. For most Rastafarians, smoking out of a chalice is a very meaningful practice, which keeps them connected to their God, Jah. Even if you aren’t religious, or Rastafarian for that matter, smoking out of a chalice can be a unique experience either way. Would you consider smoking out of a chalice? Let us know on social media or by commenting below.